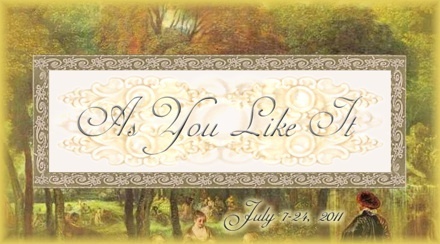 As You Like It & A Midsummer Night's Dream open this week! Our first repertory season opens this week! All performances start at 6:00 p.m in the F.R. Newman Arboretum at Cornell Plantations. Arrive early to get the best seats! Bring chairs, blankets, picnics, etc. See the show info page for full schedules, directions, and other useful information. 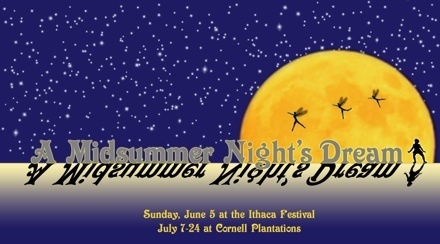 Take advantage of the nice weather, gather as many people as you can, and see twice as much Shakespeare this summer!